You've seen it there, lurking in the ingredients list, in just about every recipe for fried chicken: buttermilk. Usually whisked together with salt, pepper and a plethora of spices, this tangy, thick dairy product is a crucial ingredient for most fried chicken cooks. But is it really necessary? And what the heck does a buttermilk brine even do to chicken? The short answers? Yes, kinda, and a lot, actually. 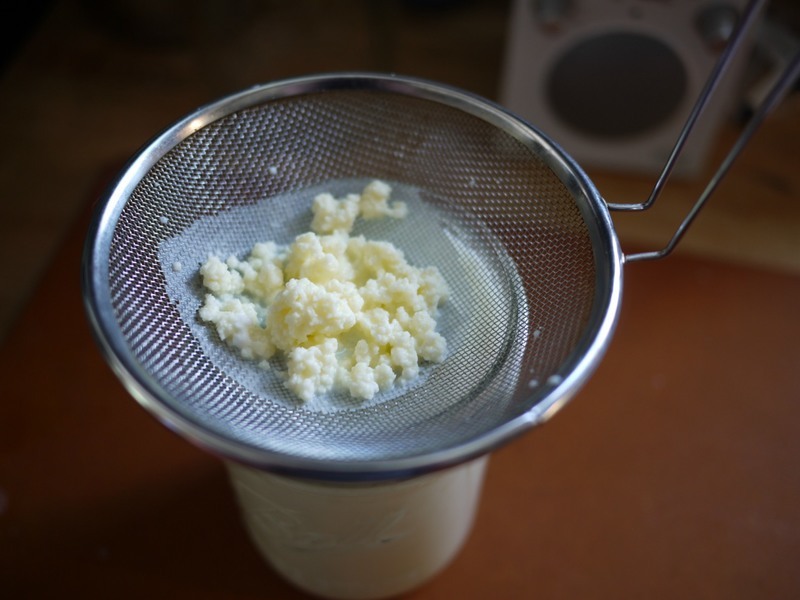 Traditionally, buttermilk is the liquid left over after churning butter. When cream is transformed into butter, it separates out into solid fat and liquid buttermilk; that fat is molded into butter, and then the buttermilk remains for cooking and drinking. Before the advent of modern food manufacturing, butter was always made from cultured cream; it took a while to collect enough milk from cows to form enough cream to churn enough butter to be practical. By the time butter was made, the cream had started to culture enough to taste pleasantly tangy. These cultures also made their way into the leftover buttermilk, which continues to ferment and thicken over time. If you've ever heard a family member talk about drinking buttermilk, this is what they're talking about. True buttermilk is actually fairly low in acid, with a delicious complex flavor — far more drinkable than what you'd find on the shelves at your local Publix. 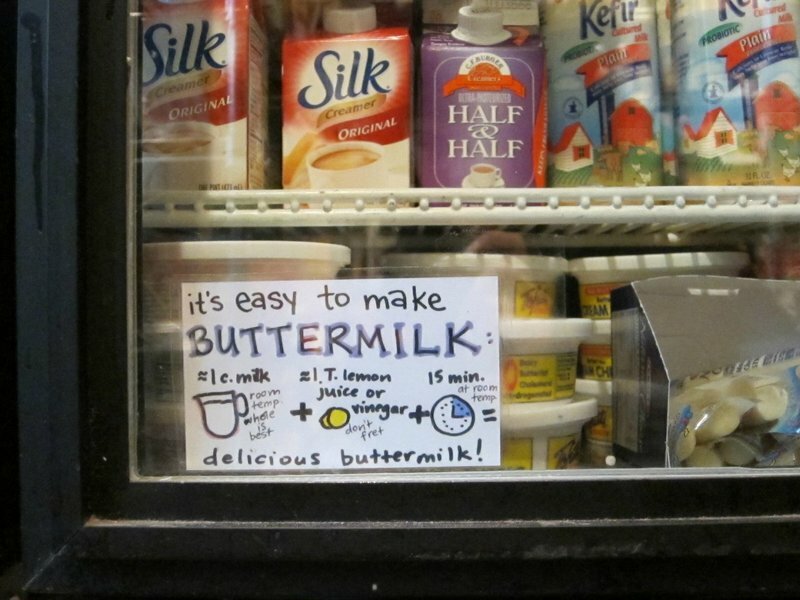 A shortage of true buttermilk during World War II led to the creation of "cultured buttermilk," a.k.a. what we typically think of when we think of the stuff. This product is made from skim or low-fat milk that has been cultured, much like yogurt. It is higher in acidity than true buttermilk, but is still very useful, and it still does contain active bacteria. 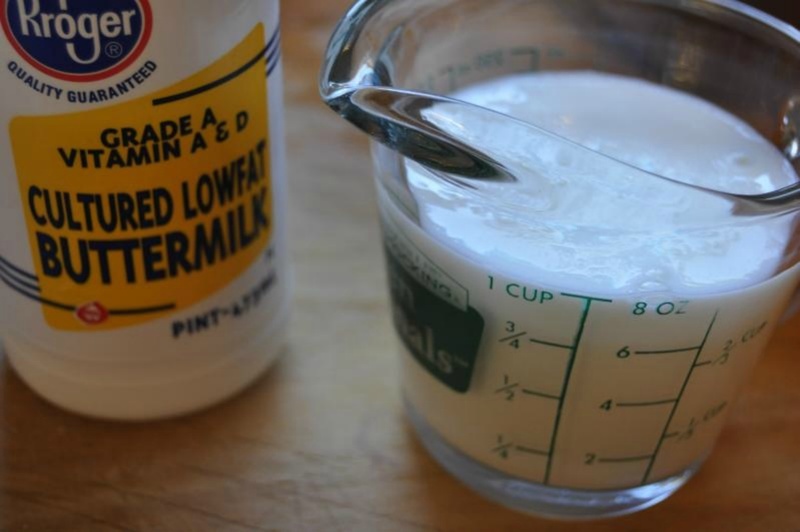 It is this buttermilk that is most frequently used in buttermilk brines and marinades today. Second, the salt will help the meat hold on to moisture. Why? As meat cooks, its proteins squeeze and tighten; when you add salt, it dissolves many of those proteins, making it much harder for them to squeeze out liquid. Absorbed liquid stays bound up in the meat, resulting in a juicier piece of chicken. As a bonus, the salty brine will also carry along with it into the meat any additional spices and aromatics in the brine. Want to get cayenne pepper into the meat of your hot chicken? Add it to your brine. Same goes with garlic powder, onion powder, Old Bay and anything else you desire. On the other hand, one of the biggest disadvantages to this technique is that brines can easily over-salt your food. Add too much salt to the brine or let it marinate too long and you'll regret it. I'm sure you've tasted plenty of too-salty fried chicken; this is one of the reasons why. Buttermilk, however, offers a solution. Buttermilk's most obvious benefit is in tenderizing meat. When used in meat marinades and brines, acids denature and unravel protein networks, which then reconnect, trapping water along the way and effectively giving you, along with salt, a one-two punch of moisture retention. In addition, buttermilk's tang, especially when using the commerical variety, will add a bit of brightness to an otherwise heavy dish. The sugars also help to balance out the salty brine and contribute to deeper coloring and caramelization of the breading on the chicken. Okay, I read all of this, but do I really, really need to make a buttermilk brine? When you're frying at a relatively high temperature for a relatively long period of time, it's really easy to overcook the chicken. Bone-in pieces take a skilled hand to fry properly, and you're far more likely to end up with something plump, juicy and delicious if you cross all your t's and dot all your i's. That means taking the time to make a brine. You don't need to marinate the chicken all day — one hour is better than none, and three hours are better than one. But say you've got a crazy chicken craving and are fresh out of buttermilk. Don't fret. While buttermilk brine is surely one of the tastiest ways to go about flavoring your chicken, you can absolutely get away with using another acidic dairy product, like Greek yogurt, make your own acidic milk by stirring in a bit of vinegar, or skip the dairy completely for a straight-up salt water brine. It's better than nothing.